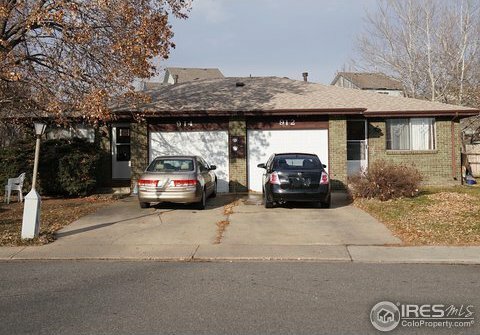 Duplex in north Longmont. Each unit has 2 BR/1 BA, with garage. Brick exterior, large lot, fenced back yard. New roof July, 2016. Recent repairs. Showings by appointment with listing broker only. Listing courtesy of RE/MAX Traditions Commercial. Selling Office: .